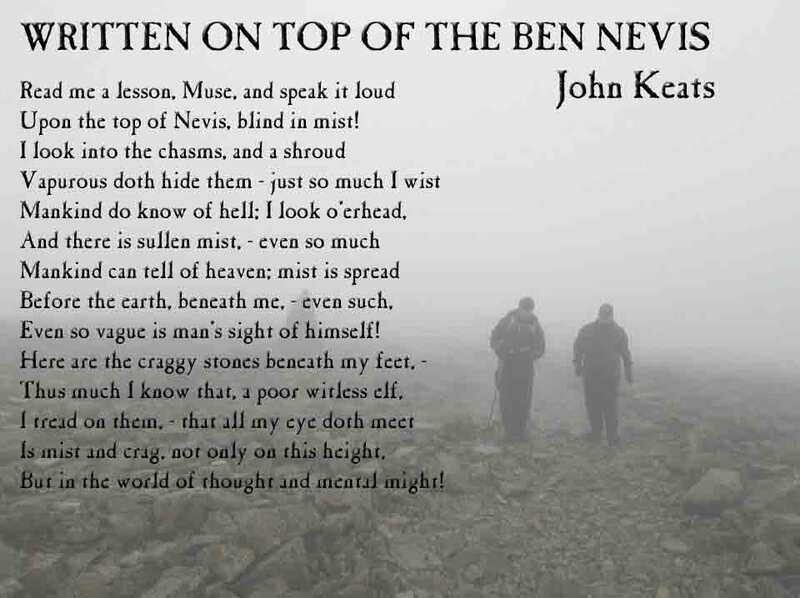 Just as a postscript to the Ben Nevis thing, I am not the first person to write about going up there. 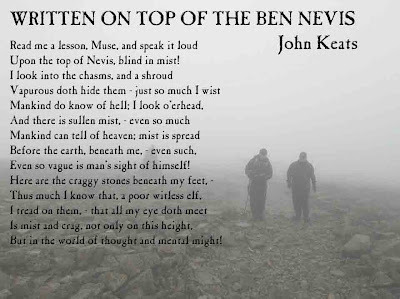 Among my predecessors was John Keats, a sickly man who probably leapt up there with the speed of a whippet. Evidently it was misty then to, because he wrote this poem.